Like the Tree-of-Life, the Torah is never-ending. It’s one giant Name of G-d, holographically comprised of thousands of other Names. Today we will explore the first and the last of those component Names, which are very different and yet essentially the same. The implications of these two Names are extraordinarily profound yet they’ve been bound together from the very beginning. But first, I want to let everyone how difficult it’s been to restrict from posting articles to this blog these many weeks. As you know there is never a shortage of wonders to reveal when it comes to the Torah and the Tree-of-Life but we began to explore the Future Holy Temple and I wanted to be able to take you deeper than a cursory understanding of Chaim Luzzatto work and Ezekiel’s prophecy. As such we will finish up with the linkages between Joseph’s Pyramid in Egypt and the Holy Temple and then begin a series of articles that will create a whole to level of understanding for us all, an understanding that will be necessary for the formation of the Future Holy Temple in Jerusalem. We will explain how the structure of the Future Holy Temple transcends the nature of the thermodynamic system, the skeletal frame of the human body, and the 10 dimensional hypercube; in other words, we will begin exploring the Tree-of-Life from within. For today, let us consider that the Torah is circular and never ending, just as we read it every year, reading the first chapter as we finish the last, the first verse with the last. So let’s connect that last and first verses. There are only two ways to do this that make literal sense. 1) Take the last two words of the Torah, kol Israel (CL YShREL) and add it to the first 5 words of the Torah (BREShYT BRE ELHYM), making “All Israel in the beginning created G-d (Elohim).” You know all the astonishing coding and mathematics built into the Torah’s first verse, as illustrated in detail in The Genesis Prayer and in numerous articles of ours, but the complete gematria of this phrase linking the first and last verses together, is most telling indeed because with the of kolel of 2 for the two verses it gives us the number 2018, once again alluding to the year Rav Yehuda Helevi Ashlag of blessed memory gave us for Moshiach and the geula (2018 CE, 5778 HC) and also the Hebrew year of the Covenant of Abraham (2018 HC). Option number 2) Take kol Israel and add it to the Torah’s first 5 words (BREShYT BRE ELHYM ET HShMYM), which maintains the 7 word-28 letter aspect of the Torah’s actual first verse, giving us “All Israel in the beginning created G-d (Elohim), the Heavens.” And the complete numerical value with the kolel of 1 of this linked verse is 2928, the Hebrew calendar year that the First Holy Temple was built. Philosophically, it begs much discussion and understanding. When we last stood together united, the Red Sea split, and the Ten Commandments were given and we stood before G-d with the opportunity to achieve the Tree-of-Life reality. 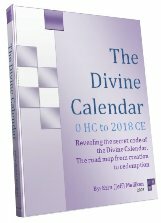 66.6 jubilee years (Biblical 50-year interval) have passed since that moment, which is why the gematria adds up to 2018 CE, the year we’ve been told that we have another opportunity to stand together at a new beginning and to receive the Tree-of-Life consciousness promised to us through Abraham in 2018 HC. In means all Israel was in the beginning together as one soul. Before the Torah there was the 42-Letter Name and as the Arizal has shown us the 600,000 souls that stood side by side at Sinai divided by the 70 family member of Jacob divided by his 12 sons divide by the 3 Patriarchs = 238.095, the exact atomic weight of Uranium238, and we all know what happens when we split that. But the inverse of 238.095 or 1/.0238095 is 42. We get weapons grade Uranium238 by purifying natural uranium to 1/10000, which is exactly the Israelite Soul Root/42. We must stand together. Think of our collective power when we do. Think of our destructive power when we don’t. G-d Created Everything, then in the end All Israel created G-d. Think about that. Think about that responsibility. Every year the Torah is read, we either let G-d’s Creation slip away and darken a little further, or come together and brighten it up, creating our own openings for the Tree-of-life. Every year we have a choice. Both the 5 and 7 word versions of this linked verse begin with the value 50 (CL) and end with the value 50 (YM), both of which always represent the sefira (dimension) of Binah (Undestanding) with its 50 gates. we can bring them together by uniting ourselves and create 50 + 50 = 100, keter, the highest dimension. Or another way to add them is using gematria sofit for YM as 610+50 (CL) + the 6 words in between = 666 as in the 66.6 jubilee (50-year interval) years between the reception at Sinai in 2448 and 5778. Feel free to share this as you will, post it on Facebook, or wherever people stand together, include a link to the article at Kabbalsecrets.com, and this year, let’s begin the process of Creating G-d in our lives. Ezekiel’s First Vision; How Explosive! I have a special fondness for the Baal Shem Tov and all the stories about him, so this past Shabbat as I read yet another of them I realized the he too, as a youth, along with his teacher had tried to bring the revelation of Moshiach (the Messiah) before his time. His teacher died that very night and we nearly lost the Baal Shem Tov as well. Every tzaddik, including the Arizal, who has tried to bring the geula and/or the H’Mashiach before his understood manifestation in 5778 has met with quick tragedy. These were the highest-level souls. They knew exactly when Mashiach was supposed to come, so why did they tempt fate? The easy answer is that they knew our suffering, that of their day and that of the future, and they wanted to relieve it, but they also knew better. In our last article (“The Book of the Wars of the Lord”) we advised that the numerical value of “speak to the rock” is 848, or 2 x 424, the numerical value of Moshiach Ben David, so when Moses struck the rock twice, he was trying to bring the geula (final redemption) with the revelation of Moshiach. And indeed, Moses was trying to shorten the time frame by half. Half of 5778 is the year 2889, the midpoint in the life of King David, and exactly 441 years after the Tree-of-Life was first offered to us at Mt Sinai in 2448. The value 441 is that of Emet, Truth, as in the Torah, which is known as Truth. Moses was trying to make David H’Moshiach, rather than making us wait another 2889 years for Moshiach Ben David. G-d’s answer to Moses was found in the beginning of Pasha Pinchas with the broken vav (the staff) in the words Et Briti Shalom, the Covenant of Peace, where the letter vav in Shalom is broken, representing among other spiritual things, the incompletion of the Torah that must must wait until the end-of-days. The gematria of Briti Shalom including the kolel for the 2 words is 1000. We can look at that vav with the hairline split as a 6 missing a sections and come up with 6000 less a hair, and as we’ll see Ezekial showing us later, it was 222. Nevertheless, in our last article we spoke once again about the 408 missing letters necessary to complete the perfect 600,000 and 408 vavs or 408 x 6 = 2448, the year we received the Torah, but also the year the first set of tablets were broken, like the vav in Shalom. That said, the word before the Covenant of Peace is Lo, “No” (using an unconventional spelling) and the value of the word Et added between “No” and “Covenant of Peace” is 401, which only makes sense if you add 401 years to the year Moses struck the rock, 2488 and get 2889, the year he tried to bring the geula. If that vav in “LO” normally spelled “LE” is added to the article “ET” we get 407 whose square root is 20.17424, or graphically the year 2017 (5778 HC) with 424, Moshiach Ben David. In other words, G-d’s reply. But the tzaddikim were the closest humans to G-d and no one was closer to Him than Moses and yet not even Moses could change G-d’s Will on this matter. Moreover, who understood better than he and them the futility in trying? In the last article we also pointed out that the gematria with the kolel of the “Book of the Wars of the Lord” (BSPR MLChMT YHVH) was 888, and that the value of the spelled out letters plus their kolel in the word Moshiach (MShYCh) is also 888. Now, we’d also like to point out that, as revealed in Parsha Pinchas, the Mountain were G-d told Moses to go to see the Land he would not be entering because he struck the rock, Israel , and where he would be gathered up unto his people, Mt. Avarim (HABRYM), was also 888, when the kolel of 1 was added. G-d was making a statement here. Moses was punished immediately for trying to foreshorten the time of the geula, but G-d already knew he would attempt it. Even before Moses went to Pharaoh to obtain the release of the Israelites, G-d stated that He wanted to kill Moses. Yet He let it all play out. Discussing these thoughts with a friend this Shabbat, it struck me why Moses, the Baal Shem Tov, the Arizal and so many other brave and knowledgeable tzaddikim attempted this. Ask this question of yourself: what would motivate such a high level and caring soul to risk the wrath of G-d Himself. It wasn’t because they had a lapse in ego, it was because they were at such a level and understood their sacrifice. It was precisely because they saw what would happen in 5778. And what wouldn’t happen then. Moses saw not just the Land of Israel, but also the Land of all time. He knew how faith would deteriorate and how few of us would actually see the Tree-of-life. Moses knew he had a better chance of bringing the Tree-of-life in the inappropriate moment than we would in its proper time. 5778 is 9 years away; how many people today get it? Moses and the tzaddikim realized that those with any interest at all in our generation would sit around waiting for Moshiach to save them and that this was so futile because the only way to bring Moshiach into our lives and to receive the Tree-of-Life reality is to take action. They further realized that there was no one like them to lead the people into these final battles, so what choice did they have but to try to fight the battle on their own turf? We can yet complete his work. In Ezekiel 1:4, the prophet Ezekiel had his first of 10 recorded visions, and from this the Zohar and the kabbalists gleaned the four kinds of klipot (negative husks) that separate us from the Tree-of-life reality. The klipot nogah are the ones described as a translucent glow. They are in a state of both purity and impurity and can be converted into holiness or empowered into negativity, depending on our interactions with them. The other 3 are completely negative and can only be broken, not elevated. As they are completely metaphysical a physical description of them is misleading, but there is also something odd about it, considering that it was written 2500+ years ago. Ezekiel describes the 3 completely impure klipot as “Stormy wind”, “Big Cloud”, “Igniting (or flashing) Fire,” which if we put it all together sequentially with the glow of the klipot Noga, we have a nuclear explosion: the blast shock wave, followed by the mushroom cloud, followed by the fireball and flashing ignition, and finally the translucent glow (of radiation). Books have been written about the spiritual depth of his visions and we won’t even attempt to touch on them here, but the image is powerful as we see the immense forces that can be released from the separation of good and evil and can imagine the strength with which the evil is clinging to our world. But there is an antidote, and a time frame built into it. Like the bases of our DNA in Hebrew (ETGC), numerical values of the initials of the 4 types of klipot, (N, RS, AG, EM) add up to 424, Moshiach Ben David. G-d wants to give us every possible chance. And while that nuclear bond is so strong, the inverse of the exact atomic weight of Uranium238 is 42, as 1/42 = .0238095. We have our ultimate weapon to win the wars of the Lord: the 42-Letter Name of G-d used in creation itself. And we have the date built into that weapon. The small gematria value of the 7 lines of the 42-Letters in the Name of G-d is 173, which we know from the Zohar were the 173 keys given to Moses. And the inverse of 173 is 1/173.07 = .00577800.
and thus in the end the Torah is telling us to look to the 173 keys, to the 42-Letter Name of G-d.
Zohar Pinchas 248. “When Ezekiel saw the Shechinah among the klipot, he saw with her ten sefirot, without any separation whatsoever, and these are the brain that is among all of them. He saw them within the earthly river K’var (CBR),” which Rav Ashlag explains is a permutation of the earthly Chariot (RCB). These are all tied to Metatron, but that is for another day. Just note that the gematria of CBR and thus RCB are both 222. A little later the Zohar explains about the next part of his vision where the four living creatures come out from the 4 klipot and the Chariot and Throne of G-d is described. Zohar Pinchas 251: “He [Metatron] leads the four living creatures and includes ‘The Throne has six steps’ (I Melachim 10:19), which are six. Rav Ashlog explains that these are the 6 sefirot of Zeir Anpin of Atzilut. With the 6 steps we have 6000. And thus the vision reveals the combination of the steps to the Throne and the Chariot: 6000 – 222 = 5778. We’ll get deeper into his visions later. 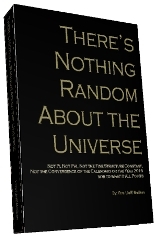 Author Jeffrey MeilikenPosted on July 12, 2009 July 12, 2009 Categories RevelationsTags 222, 2889, 42, 42-letter name, 424, 5778, Baal Shem Tov, chariot, Israel, Jewish messianism, king david, Land of Israel, Mashiach, Metatron, moses, Moshiach, moshiach ben david, Religion and Spirituality, uranium 238, zeir anpin, zohar2 Comments on Ezekiel’s First Vision; How Explosive!